We are continuing our bird theme this week, learning about owls. 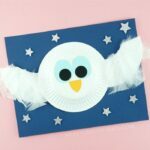 I’ve seen some darling paper plate owl crafts floating around Pinterest lately and I decided it would be a perfect craft to along with us learning about owls. 1. We glued brown tissue paper squares onto the face and body. For the wings, we gave them a coat of brown paint and after completely dried, we glued on brown feathers.2. I put a hole punch in the wings and the body and we attached the wings with metal brads. Having the wings able to move up and down is really fun for the kids. 3. I traced circles onto a yellow sheet of paper for my son to cut out for the eyes, and I helped him cut out the black circles for the eyes and the nose. We didn’t even think to add feet. Oops!I really like how the different textures gave this owl some character. 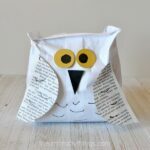 If you do decide to just color the owls, check out how fun they turned out at Tippytoe Crafts. 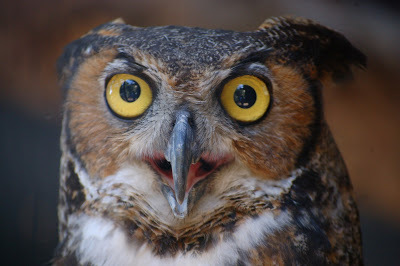 One of our favorite exhibits at the Tracy Aviary is the Owl Forest. During our trip there last week, my son was able to observe the different types of owls they had on display and it has been fun to hear him recollect them while we read non-fiction books about owls. 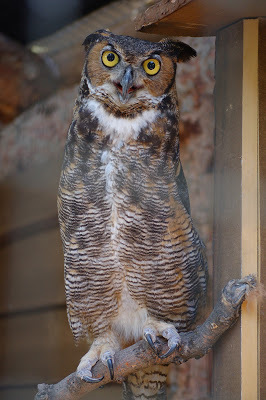 Here are some cool pictures my husband took of one of the owls. They were taken through a wire fence so I was happy my camera was able focus through them. Last year we read “Owl Babies” to go along with our bird week, and we fell in love with that story. You can read about our craft HERE. This year I was really hoping to find some books we hadn’t read yet that we would love as much. I pulled 15 owl books off of the library shelves in search of the perfect read and I ended up finding two that my boys really, really enjoyed! peace and quite, someone else landed in the hollow tree and woke Owl up again. 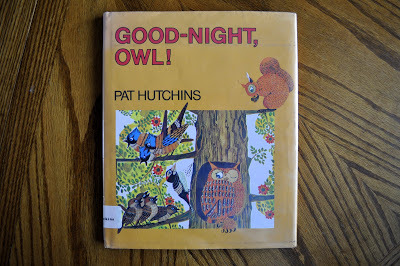 You’ll have to read the book to find out if Owl ever gets some rest. 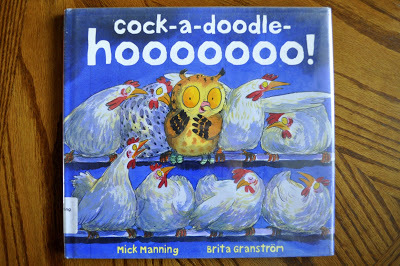 This is a great read aloud story and my boys loved repeating all the animal sounds with me as I read throughout the book. owl! Will Owl be able to convince his new friends that he should stay? Another cute and funny story! Well, isn't that fancy! What a character. Your kids are very lucky to have such a creative mom. how cute and clever is that!! Love it! I really love that owl craft!!! Awww, thanks for the nod in my direction! You're so sweet! 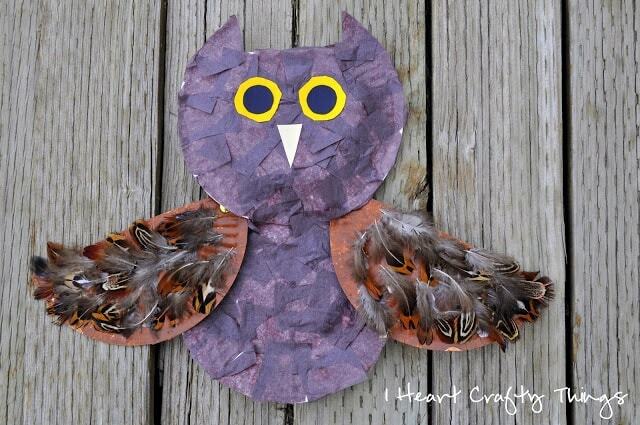 I love all the texture on your owl, especially the feathers. Nice touch! So fun. We just did a similar project with ripped paper. So very cute! Who doesn't love owls?! You are so amazing! Why can't we live next to one another! Well, we have the next best thing – technology! 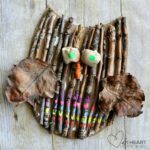 Thanks for being such an amazing Mom and posting pics of the awesome crafts you do with your kiddos. We will need to recreate this next week for sure! Rachel you never cease to amaze me with these projects! I love the owl! So cute! Thanks for linking up to the Pomp Party! Pinning to our Pomp Party board! It is so CUTE!!! And so creative! I will definitely try it!